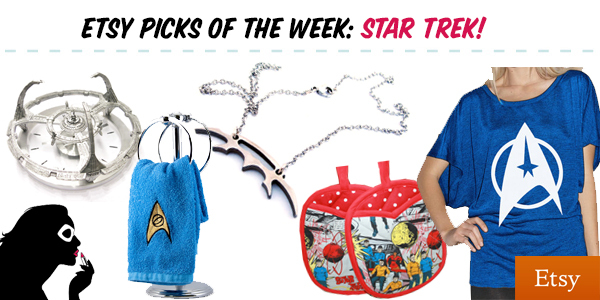 Earlier today, we featured licensed Star Trek merchandise in celebration of the 48th anniversary of the show. However, if it wasn’t for fan made items, I don’t think we’d have nearly the amount of great licensed items to choose from. So to show our love, here’s a selection of great items you can find on Etsy.